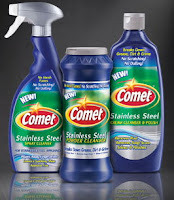 Comet Stainless Cleaner only $0.68 w/ Coupon! Head over to Coupons.com to print out this new Comet Cleaner coupon and bring it to Walmart to get a good deal on the powder cleaner! Please note that prices may vary by store and region.